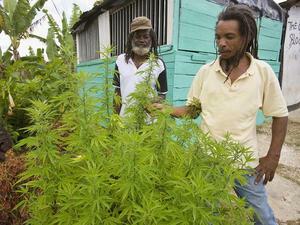 Despite the war on drugs being lost long ago, the debate on a progressive drug policy in the Caribbean is showing positive signs of revival due to increased campaigning on behalf of an unlikely partnership of community organizations, farmers, and academics. "Photo Credit: Ganjarism"Despite the war on drugs being lost long ago, the debate on a progressive drug policy in the Caribbean is showing positive signs of revival due to increased campaigning on behalf of community organizations, farmers, and academics. Earlier this month, Caribbean Community (CARICOM) leaders met in St. Lucia to discuss regional issues in the usual fashion but were joined outside by a small but vocal demonstration campaigning for the decriminalization of marijuana.